With such a vast range of fragrant chilli sauces around, it’s really hard to pinpoint one favourite. Mild to hot, roasted to fermented, liquid to thickened dips, how do you like yours? Here’s a collection of some notable chilli sauces that you can either make yourself or use in your cooking to satisfy that urge for something spicy. Sriracha is a classic combination of chillies, sugar, salt, garlic and vinegar. While many of us know this sauce by the bottle featuring the proud rooster, this is actually a traditional thai recipe that requires the chillies and garlic to be crushed and fermented in salted water before combining with the sugar and vinegar. If you make it at home, it won’t be as thick as the store bought version but it’ll still have that unique flavour thanks to the fermentation. If a little heat is required with every meal, Sriracha is fantastic on everything but with it’s roots in asian cuisine we recommend giving it a go when you next order a classic Vietnamese beef noodle soup (Phở). Tabasco is the world’s most famous hot sauce, possibly thanks to it’s role in spicing up that classic tomato based cocktail, the Bloody Mary. There barely a restaurant in the world that doesn’t have one of these little bottles stashed somewhere nearby for those guests that demand that everything be spicy. Hotter than Sriracha, Tabasco has more of a tangy taste due to it’s heavy distilled vinegar base and longer fermentation in oak barrels of up to three years. Often thought to be made in the town of Tabasco in Mexico, it was in fact created in Louisiana, USA in 1868. Almost 150 years old, and still going strong! The pride of north Africa, Harissa is an aromatic and thick chilli paste that has become the go-to flavour enhancer throughout the region. The blend to this moderately heat-intense sauce includes Serrano peppers, garlic, cumin, coriander and olive oil. 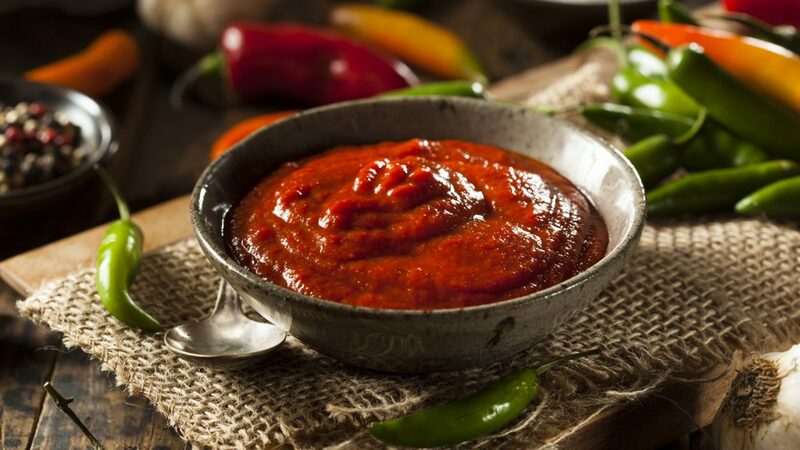 Harissa is such a versatile condiment, it can be used as a stock base, for basting, spread over fish or meat before grilling or tossed through roasted potatoes – it’s uses really are endless and it’s quite easy to make at home. The flavour or Portugal, Piri Piri has been made famous when paired with chicken and as become a favourite of many a restaurant. This sauce uses crushed African bird’s eye chilli balanced with citrus to add some tang to the heat to create of the world’s best marinades. A perfect mix of pequin and arbol peppers, salt, vinegar and spices. The iconic Mexican hot sauce featuring a wooden-topped lid and featuring a delightfully pleasant woman on the label. There’s something that just tastes like Mexico within this bottle that makes it the perfect addition to a taco… so before your next Mexican themed dinner party, pick up a bottle of ‘lula’. 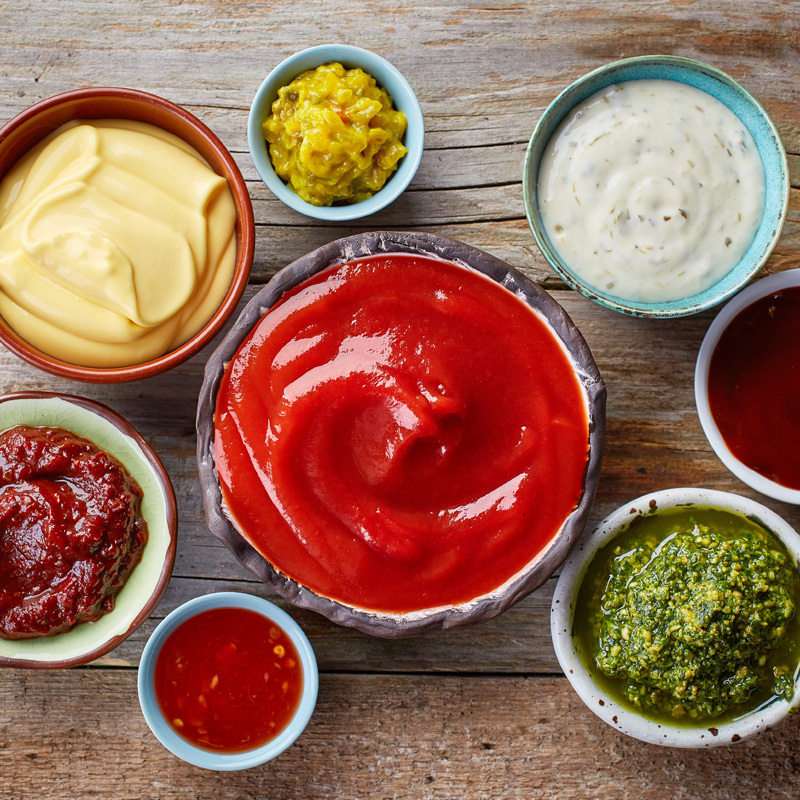 There’s literally thousands of hot sauces out on the market these days – from large mass produced varieties to the more boutique brands and for those that love a good hot sauce, there simply couldn’t be enough. If you’re feeling adventurous, try making your own – it’s really all about mixing the heat with your favourite spices, sweetness from fruits or sugars and sourness from vinegar or citrus. Looking for other popular chilli recipes and tips?